Good morning and I hope you all had a great weekend. Yesterday we awoke to four inches of snow and had great fun sledging, building snowmen and snowball fights with several neighbours and their children! Did you get to build snowmen too? I hope the snow doesn’t cause too much disruption to your plans today. Today I want to think about children at weddings. Perhaps you are currently deciding whether or not to invite little guests to your wedding or have recently received a wedding invitation that says ‘No Children’. I’ve heard stories of vicars suggesting to the couple that perhaps their own children do not attend the ceremony and I know of guests being asked not to bring their children. As a mother I think children should not be hidden away and allowed to attend important parties and events such as weddings. When inviting children to weddings it is important that you consider certain things in your planning. Even the most well behaved children will not want to sit through long wedding speeches so perhaps you could arrange for them to play outside in the venues garden, supervised by organised, hired childcare or arrange for a face painter or juggler or other entertainer to keep them busy while the best man cracks a few jokes! Another option is to hire a childrens party organiser to ensure the children are looked after and entertained for the wedding breakfast and possibly in to the evening aswell. Les Enfants creche service offers a fantastic solution by providing various options to keep chidlren entertained and fully supervised at your wedding. Another idea for keeping children busy whilst the speeches are read is to have little gifts of colouring books and crayons or activity sheets. 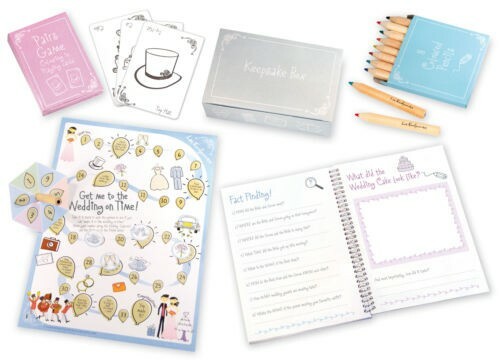 Les Enfants has a fantastic Wedding Activity Pack, which is currently available here whilst our online shop has a revamp. Each pack comes complete with an activity book, Pairs game, board game, spinner and counters, little pencils all neatly packaged in a keepsake box. Another consideration when inviting children to your wedding is that their tastes can be quite simple, although my own children are encouraged to try many different foods. When planning your menus for the big day it is worth planning a seperate menu for the children, which could be sausages and mash or a selection of tea party food followed by fairy cakes, jelly and ice cream. Children eat less than adults and by choosing a seperate menu you can reduce your costs significantly. One idea I loved when researching this was a brides nine year old daughter hosting her own table and will also be choosing the childrens menu. 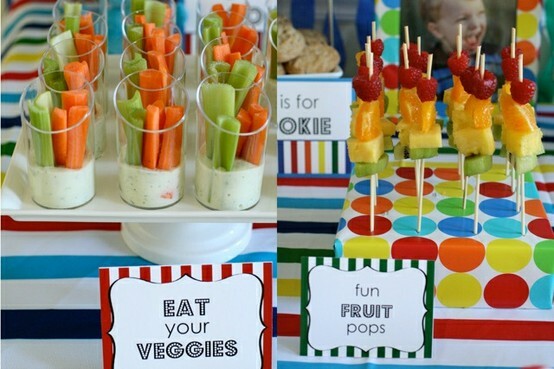 Are you planning on inviting children to your wedding or have you done this sucessfully? I would love to know how you kept little ones entertained. As long as you plan properly for children they will make great guests.